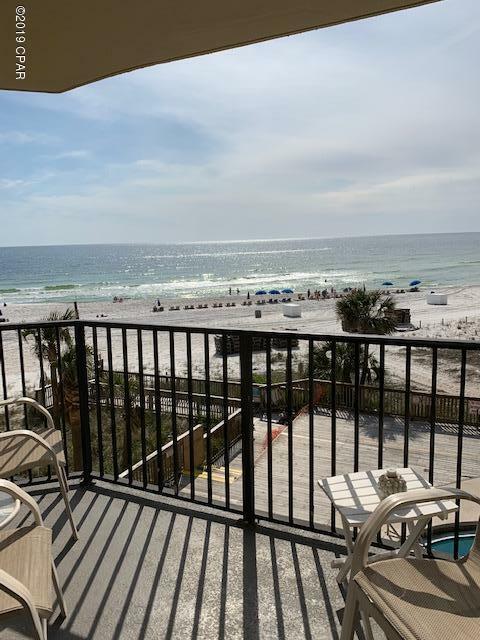 Gorgeous Gulf views stretching all the way down the Beach from this 3rd floor condo at the Sunbird. This lovely FULLY FURNISHED condo is ready for you to enjoy! The Sunbird is a mid-rise condo property (only 12 floors each tower) that offers the security of a gated community, three gulf front pools, a tennis court, bar-b-que grills, and you can walk next door to Pineapple Willies!! Come see this beautiful condo today! !